Renesas Electronics Corporation, and Integrated Device Technology, Inc, today announced they have signed a definitive agreement under which Renesas will acquire IDT for US$49.00 per share in an all-cash transaction representing an equity value of approximately US$6.7 billion (approximately 733.0 billion yen at an exchange rate of 110 yen to the dollar). The acquisition combines two recognised leaders in embedded processors and analog mixed-signal semiconductors, each with unique strengths in delivering products to improve performance and efficiency in high-computing electronic systems. The boards of directors of both companies have unanimously approved the transaction. Closing of the transaction is expected to occur in the first half of 2019, following approvals by IDT shareholders and the relevant regulatory authorities. Since 2016, Renesas has been executing its growth strategy to thrive in the global marketplace and become a global leading embedded solution provider. As part of this initiative, Renesas is working to expand its analog solution lineup and to strengthen its kit solution offerings that combine its microcontrollers (MCUs), system-on-chips (SoCs) and analog products. These efforts will be underpinned by revenue growth in its focus domains: automotive segment, which is expected to see tremendous growth with autonomous driving and EV/HEV; industrial and infrastructure segments, which are expected to advance with Industry 4.0 and 5G (fifth-generation) wireless communications, as well as the fast-growing IoT segment. Renesas views accretive acquisitions as key enablers in achieving this growth strategy to deliver further incremental growth. The completion of the Intersil Corporation acquisition in February 2017 enabled Renesas to add industry-leading power management and precision analog capabilities to its product portfolio. Renesas is capitalising on the exciting opportunities in its focus business segments by offering combined solutions. The transaction announced today further accelerates Renesas’ growth strategy, bringing substantial strategic and financial benefits. IDT’s analog mixed-signal products for data sensing, storage and interconnect are key devices that support the growth of data economy. 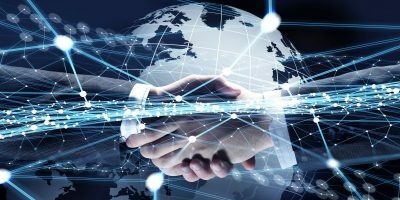 Acquisition of these products enables Renesas to extend its reach to fast-growing data economy-related applications including data centre and communication infrastructure, and to strengthen its presence in the industrial and automotive segments.